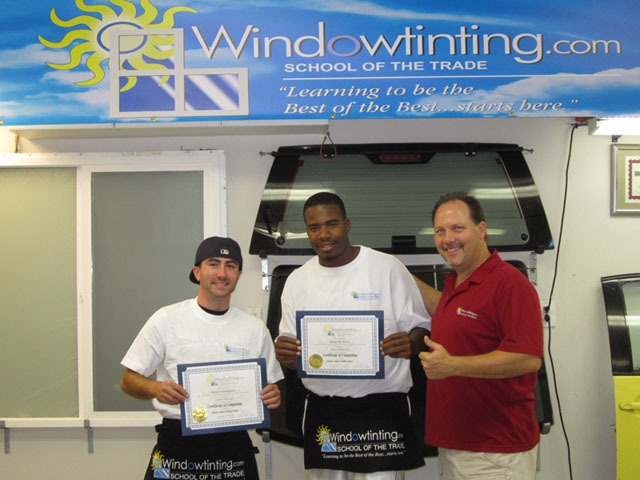 I was so anxious about learning window tinting in one-week, but the structure and techniques Robert provides in his class were so straight-forward. And when I had any questions of confusions, he explained it so clearly! My experience was very delightful! Great trainer! Robert has a very relaxed environment to learn in. I would recommend this course to anyone! Excellent overall experience and how easy it was to understand the material and instructor! Note: I opted out of the photo for personal reasons. Thank you.